Come see this charming Courtyard Villa nestled in Grovewood Villas has a wonderful outdoor living area! This 3 bedroom/2 bath home boasts a light and bright open floor plan with volume ceilings and nice separation between all 3 bedrooms that allows for just the right space between you and your guests. The spacious master bedroom features a large walk-in closet and bathroom with walk in shower. 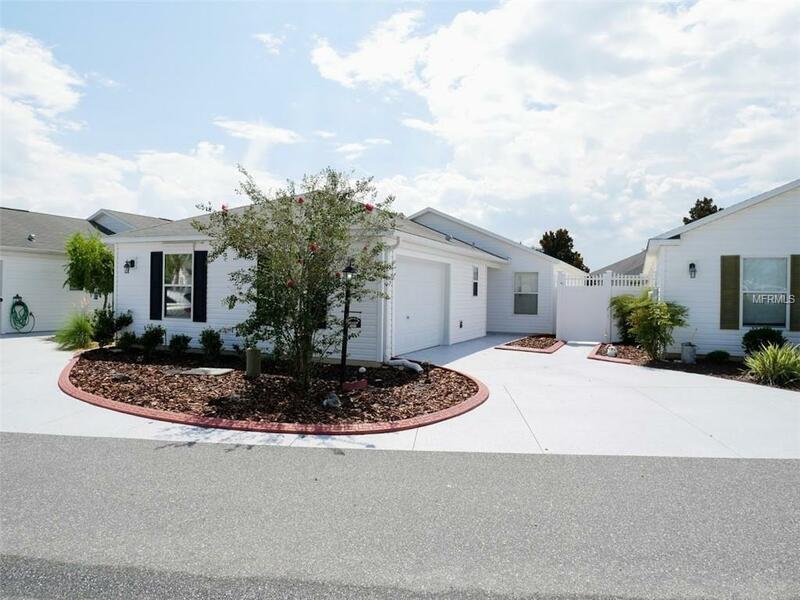 This home was designed for low maintenance living at its best with an enclosed lanai which opens to a private fenced yard with no grass to mow! INTERIOR OF HOME HAS BEEN FRESHLY PAINTED AND BRAND NEW CARPET THROUGHOUT! Start enjoying The Villages lifestyle todayCall to schedule your showing before this beautiful home is gone! CDD line reflects combination of annual maintenance $294.94 and fire district $124.00. NO BOND!